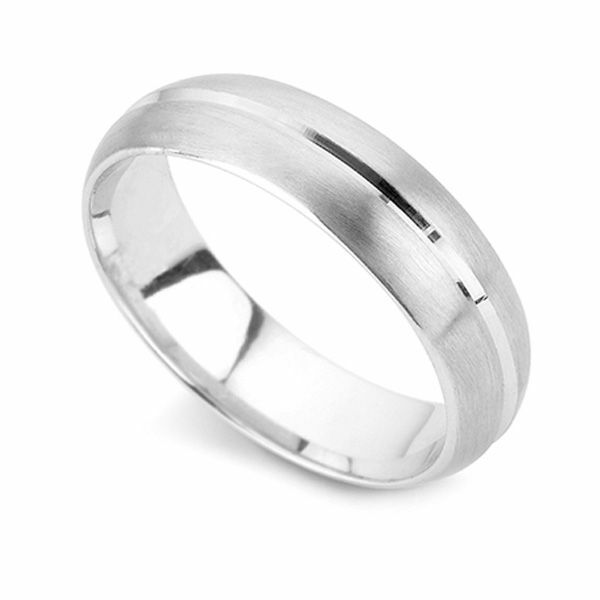 A plain wedding ring in a D-shaped outer profile, court inner profile with a central groove detail. A ladies' Wedding ring with a little bit of difference. Created in 950 Palladium, with a D shaped Paris Profile with comfort fit on the inside, this 2.5mm band will glide effortlessly on and off your finger. With a satin matt finish on the exterior, a cut mirror polish channel runs through the centre, giving this design that little bit more excellence. Available in a size L1/2 for immediate dispatch, your ring can be with you with Next Day Delivery (within the UK), and with you in just a few days if you live internationally. It will be delivered by a trusted courier for your peace of mind and will be wrapped in Serendipity's own bespoke packaging. All parcels leaving the care of the Serendipity Diamonds team are sent under plain wrapping to USA by Fedex. Duty and tax are included in your payment, leaving you to sign for the parcel upon arrival. We provide beautiful luxury packaging for any purchase with all wedding rings arriving in elegant presentation boxes, securely held within our main outer box as shown below. Ask any questions about this design? If you have any questions at all, or just need a little advice then please don't hesitate to get in touch for some friendly, expert advice. Get a free UK size tool delivered to the US. Alternatively tell us your US finger size and we will build your ring working to the US size system.